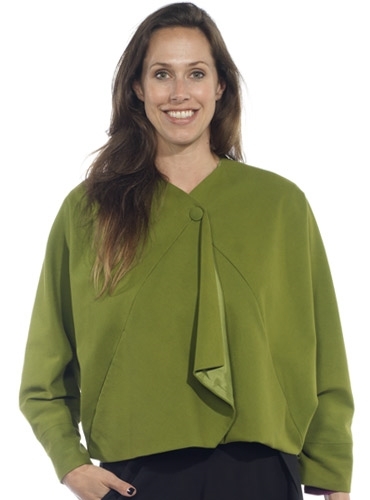 Elegant green cotton jacket, by Parisian designer, Marie Meunier. Simple, yet chic, this jacket features a one-button closure, and will provide unique drama to your day or night look. One size fits most.